In this lesson, we will learn how to graph cosecant and secant functions by understanding that they are related to the graphs of the sine and cosine functions. Which of the following is the graph of the function 𝑓 ( 𝑥 ) = 1 ( 𝑥 ) s i n ? 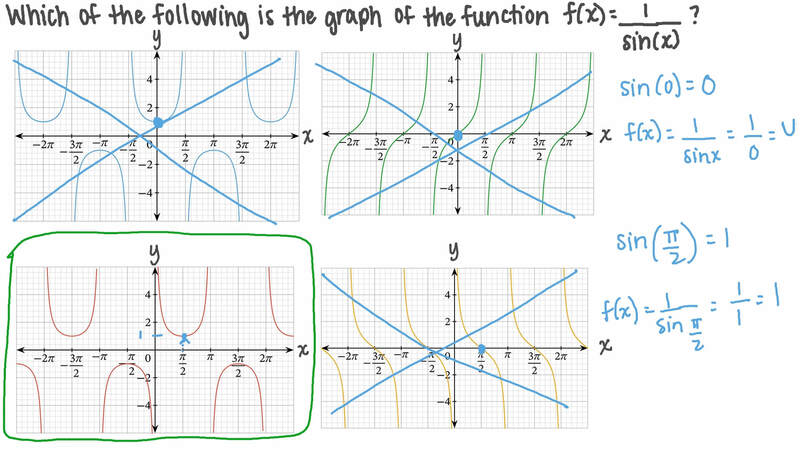 Which of the following graphs represents the function 𝑓 ( 𝑥 ) = 𝑥 + 4 c s c ?